88-year-old Horace Sheffield has proven that it is never too late to chase your dreams. 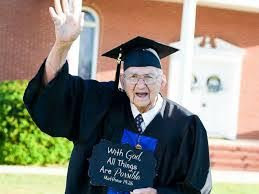 The grandfather, who quit his education from Shorter University in 1965 to help educate his daughters, finally went back to the same university and successfully graduated this year. 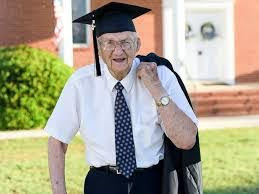 On Friday, Sheffield of Barnesville, Georgia, walked across the stage along with his tutor Amanda Brannock to accept his diploma at Shorter University. 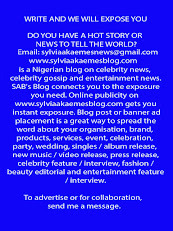 He had attended the University from 1960 to 1965 but quit before graduating. Sheffield earned his Bachelor of Science in Christian studies through online courses after reading an article in a magazine that seniors could attend college for free. He credits Brannock, who “walked beside me to make sure I didn’t trip over wires or something,” for being the only reason he was able to pull off this accomplishment. Brannock helped Sheffield to achieve his life-long dream by tutoring him even though she does not have her own degree yet. She took her computer and printer to Sheffield's house the moment she heard he was studying for a degree and spent more time in his house than with her family, helping him with his studies and inspiring him. “I’m relieved because it was a lot of work,” she explained of his course load. “I lived with Horace more than I lived with my own family the last two years. We’ve kept each other going. He’s inspired me to keep going and I hope I inspired him to keep going. Graduation was one of the happiest days of my life. I cried like a baby. It was one of the most precious moments and I couldn’t have been more proud even if it was my own degree," Brannock said. Brannock said she was misguided the first time she went to college and ended up not graduating but because of her love for learning, she enjoyed every bit of helping Sheffield study because it meant she learnt a lot too. Sheffield promised that when Brannock finally earns her degree, he will walk across the stage with her too. Sheffield's granddaughter, Jill Brazier, feeling as proud as only a grandchild can feel for their grandparent, spoke to ABS News about her grandfather. “He’s smart as a whip, I’m not even lying," she said.